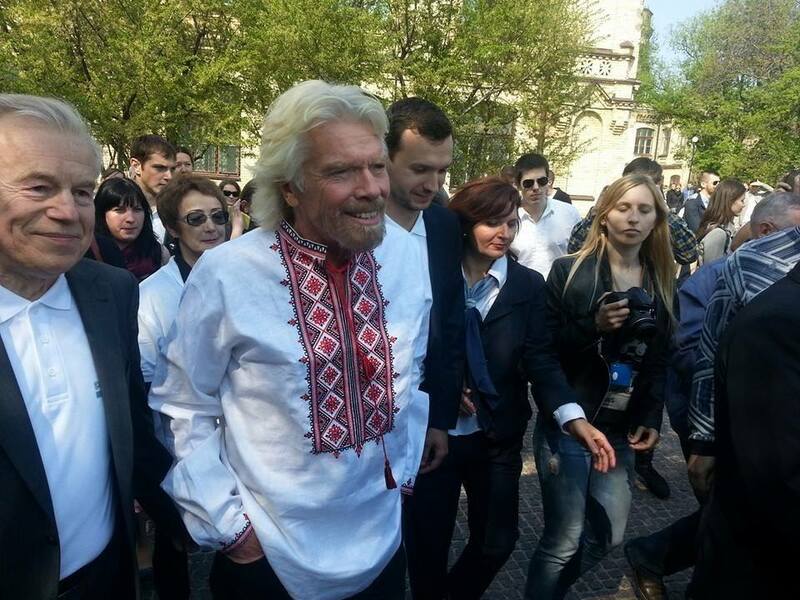 He continued to wear it for an interview with HromadskeTV where he talked about investing in Ukraine and possible future Virgin Group ventures there in the future. 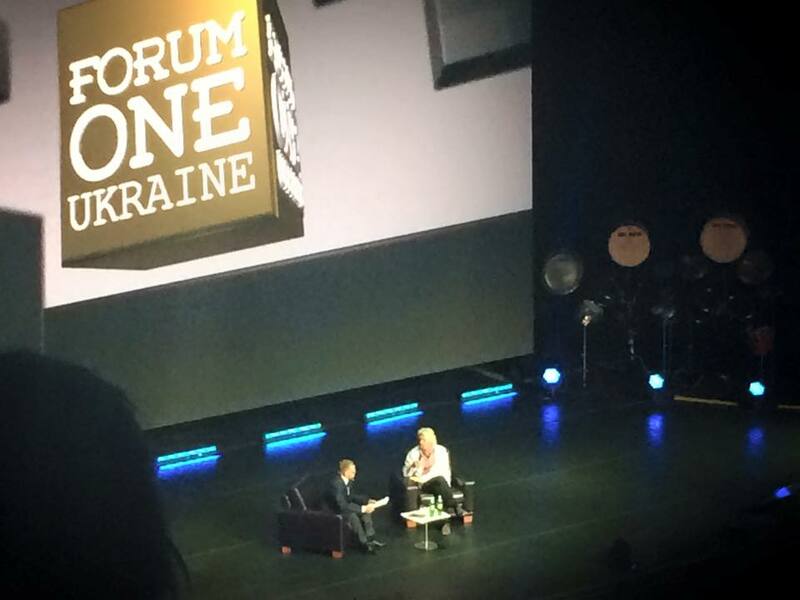 “I mean, personally, I think that Ukraine is a good place to invest…I recommend to my friends that they should invest in Ukraine,” he stated. He went on to say that to make it more appealing for investors, Ukraine could create a 10 year clean energy plan to produce all energy internally and stop money going out to other countries, and to create a drug policy in Ukraine that treats drug use not as a criminal problem but rather as a health problem. 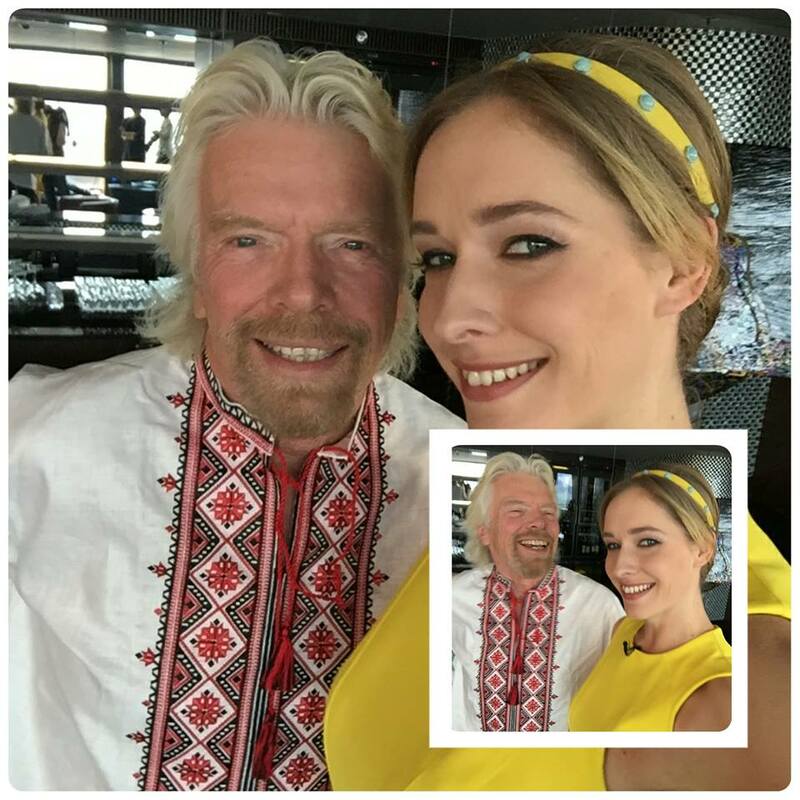 Kateryna Osadcha of Social Life who presented the vyshyvanka to British billionaire Sir Richard Branson. 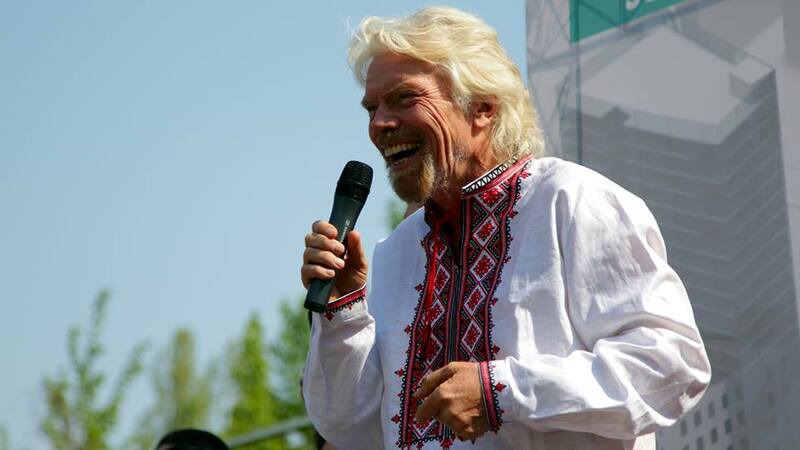 This entry was posted in English, English News, Eyewitness stories, Pictures and tagged #FreeKolchenko, #FreeSavchenko, #freesentsov, #RussiaInvadedUkraine, #StopRussianAggression, clean energy, Richard Branson, Ukraine, Ukrainian vishyvanka, Virgin Group, vishyvanka. Bookmark the permalink.